Special Olympics Illinois has been awarded and meets the 20 BBB Standards of Charity Accountability. The 20 standards, as they are set by the BBB, relate to Board Oversight, Board Size, Board Meetings, Board Compensation, Conflict of Interest, Effectiveness Policy, Effectiveness Report, Program Expenses, Fund Raising Expenses, Accumulating Funds, Audit Report, Detailed Expense Breakdown, Accurate Expense Reporting, Budget Plan, Truthful Materials, Annual Report, Website Disclosures, Donor Privacy, Cause Marketing Disclosures and Complaints. 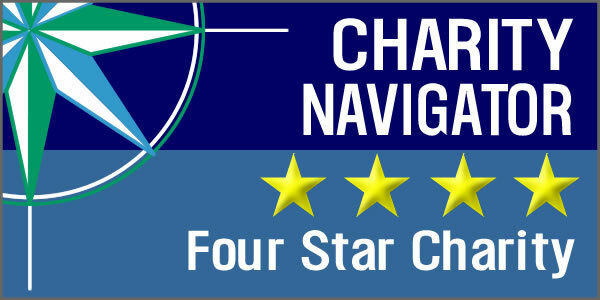 We are also proud to let you know that Special Olympics Illinois has earned our second consecutive 4-star rating from Charity Navigator, the leading charity evaluator in the United States. This is their highest possible rating and indicates that our organization adheres to sector best practices and executes its mission in a financially efficient way. Attaining a 4-star rating verifies that Special Olympics Illinois exceeds industry standards and outperforms most charities in our area of work. Only 31% of the charities they evaluate have received at least 2 consecutive 4-star evaluations, indicating that SOILL outperforms most other charities in America. This designation from Charity Navigator sets Special Olympics Illinois apart from its peers and demonstrates to the public our trustworthiness. This means that you can be rest assured that Special Olympics Illinois works very hard to be exceptional stewards of your hard earned dollars that are donated to better the lives of SOILL athletes. It is also good to know that when potential donors use Charity Navigator to do research on charities, they donated more than they planned to before viewing their website and influenced over $10 billion in charitable gifts in 2018. So, being held in high regard by Charity Navigator can aid in helping to grow our donations, increasing the opportunity for our athletes. Special Olympics is a global organization that unleashes the human spirit through the transformative power and joy of sport, every day around the world. Special Olympics Illinois is a not-for-profit organization offering year-round training and competition in 18 sports for more than 23,000 athletes with intellectual disabilities and over 17,000 Young Athletes ages 2-7 with and without intellectual disabilities. Special Olympics transforms the lives of people with intellectual disabilities, allowing them to realize their full potential in sports and in life. Special Olympics programs enhance physical fitness, motor skills, self-confidence, social skills and encourage family and community support. REAL SPORTS: Deliver high-quality training and competition in an inclusive culture that stresses athletic excellence, rewards determination, emphasizes health and celebrates achievement. ATHLETE HEALTH: Promote the overall well-being of people with intellectual disabilities via programs that ensure ongoing access to quality, community-based health care services, highlighted by free health screenings at Special Olympics competitions, games and other venues. TRANSFORMATIVE EDUCATION: Equip young people and adult influencers with effective tools and training to create sports, classrooms and community actions that produce friendships and acceptance, driving positive attitude and behavioral change. To be eligible to participate in Special Olympics traditional program, one must be at least 8 years old and identified by an agency or professional as having one of the following conditions: intellectual disabilities, cognitive delays as measured by formal assessment, or significant learning or vocational problems due to cognitive delay that require or have required specially designed instruction. The Special Olympics Young Athletes program was created for children with intellectual disabilities ages 2-7. Yes, through Special Olympics Motor Activities Training Program (MATP), developed by physical educators, physical therapists and recreation therapists. MATP emphasizes training and participation rather then competition. The need for services is great as we estimate that Special Olympics Illinois is currently serving about 10 percent of those eligible to participate and is always working to increase this reach. Individual donors account for 65 percent of our donations so we rely on people just like you to ensure that we can continue reaching out to more of those in need. You can do your part to transform lives by making an online donation now! If you have questions not answered here, please email Special Olympics Illinois.